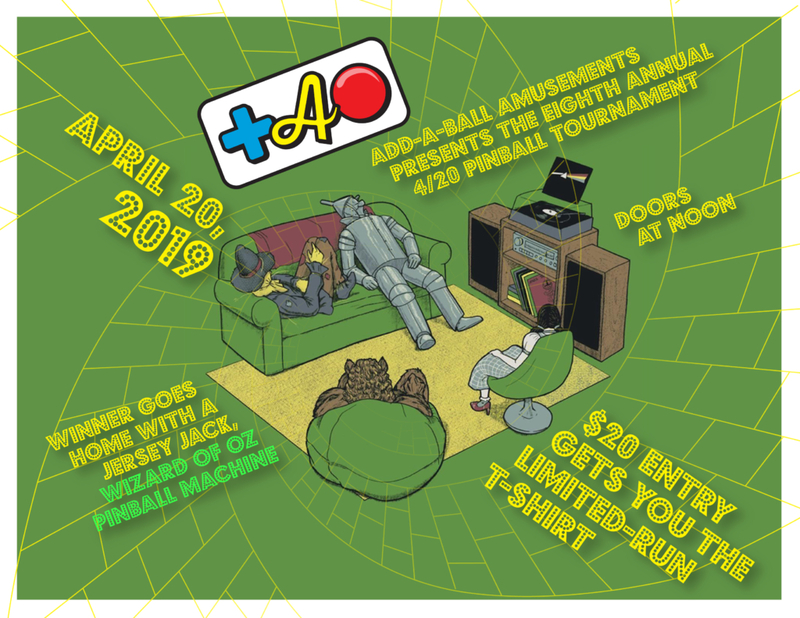 Annual pinball tournament at Add-a-Ball – Win a brand new Wizard of Oz pinball machine! Update: Doors open at Noon; qualifying rounds begin soon after that; buy backs end at 5 and the last qualifying rounds begin at 7. After that the top players (I forget how many) play in a 3 strike tournament to crown the winner of the pinball machine. I saw a preview of the shirt and it looks awesome so try to get there early-ish in case they run out of your size. The Breaking of the Glass ceremony is at 420pm and is a Seattle tradition you won’t want to miss!